If the reviews are any indication of the selection available and the knowledge of the staff then you should definitely shop at Stafford Jewelers, Inc. to find your wedding rings in Cincinnati. While the store and the staff exude elegance, the selection at this store is very affordable. 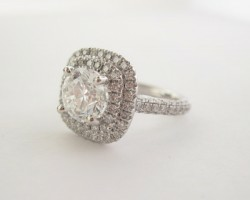 They boast high quality diamond rings as well as special occasion jewelry. When you shop at Stafford’s you will always be treated like royalty as you shop for a unique piece of jewelry. FK Diamonds is not your average jewelry store, just showing customers what they have on display. The technicians at this store will take you through an entire buying process. This starts with giving you an education about the diamonds and wedding bands you are considering. You will examine every aspect of a ring with a professional that will guide you through the quality of the pieces and the related price tags. 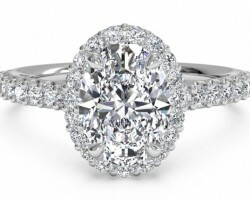 This experience will help you choose the best engagement rings in Cincinnati, OH. 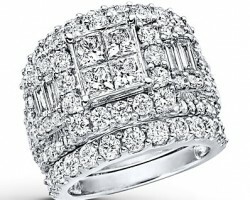 Jewelry stores in Cincinnati have to compete with the standard set but Scott Reising Jewelers. This store has all of the superior, elegant and stylish pieces you could possibly want. From fashionable antique-looking earrings to the most beautiful engagement rings, this Ohio store has it all. 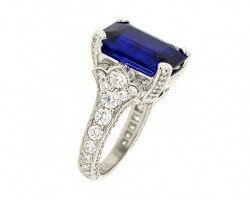 This store also offers a complete in-house custom jewelry design studio. If they do not have the exact piece you want then they will make it to your specifications with the perfect stone shape and metals. Since 1983, Amrein Diamonds has been providing customers with the largest selection of unique jewelry. This family owned and operated store provides the highest standard of customer care by treating each client that comes in to shop like a friend or neighbor. The technicians will help to educate you on their selection and listen to the things you would like from the piece. 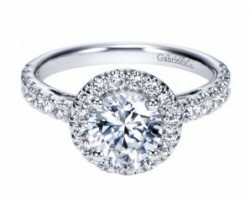 They will then be able to guide you to a classic diamond ring or a more unique choice. Finding the perfect piece of jewelry for your occasion starts with looking at Sterling Jewelers. This store has Cincinnati engagement rings for women and rustic-looking wedding bands for men. Whether you are looking for something to represent your love when you pop the question or are looking to give a gift to a loved one, this store has everything from vintage-style bracelets to the latest earrings from top designers. With special financing available, there is nothing to stop you from finding the perfect token of your love today.